March means the weather can go above 0° F. By the end of March it became spring. After months of cold weather the temperature reached 32° F. Although the temperature doesn’t stay up, we’ve had temperatures in the 40’s. In the outlying areas however, animals are still dying because they can’t get grass. The grass won’t begin to grow until May. This has been a record cold winter in Mongolia. On March 31 the President and the assistants left Ulaanbaatar for a tour of the mission – the Darkhan and Erdenet areas and Murun. They were also going to go to Choibalsan, but that trip was postponed until this coming week. Sunday April 4 was Easter. 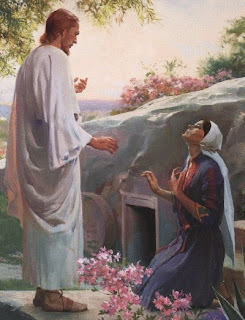 All day I had a special happy feeling to know that Jesus Has Risen. For fun on Saturday I colored Easter eggs and made a bunny cake out of cupcakes. After church on Sunday we invited the Sukhbaatar elders, the office elders, and the office sisters to dinner. One of the Mongolian elders wanted to know what chickens had laid the different colored eggs – he’d never seen dyed eggs before. A week ago Saturday (April 1) we received the good news that our 20 American missionaries who were either going to go home or be transferred on April 22nd wouldn’t have to leave then; they could stay until May 25. This means half of them will finish their missions here; the other half will be transferred to the States and finish their missions near the end of August. To offset this good news, all of our meetinghouses except for Bayanzurkh, were not reregistered by the government. We wanted the government to consider all the wards and branches as one church instead of separate churches. That delayed us. As a result, as of tomorrow (April 12) we can now only have a one-hour sacrament meeting for each ward or branch until at least June. No other meetings can be held in the meetinghouses – no 3-hour block, no baptisms, no seminary or institute, no singles family home evenings, no choir practice. Other meetings will be crowded into the Bayanzurkh building. This weekend was general conference weekend in Mongolia. We had the privilege of listening to all sessions of conference in English in the President’s apartment. When I was young, I loved going to quarterly (in the old days) stake conference with my parents. I remember the drive down Lake Shore Drive in Chicago to go to conference on the south side at University Ward. My father was on the high council and my mother played the organ. One landmark talk was Elder Oakes priesthood meeting talk on the priesthood ordinance of healing the sick. Since I can’t begin to cover all that was said at conference, you can find the talks at http://www.lds.org/move/index.html?type=conference&event=april180&lang=english or at http://www.lds.org/conference/sessions/display/0,5239,23-1-1207,00.html.